Whether your Dell laptop is a Latitude, XPS or Vostro for your business, or an Inspiron for home use, you need it performing at its best all the time. When it is broken, that broken laptop requires the same immediate care and concern as a broken lock on your home’s front door. You need your laptop fixed securely, quickly and professionally by Computer Answers. We have been diagnosing problems with Dell laptops and successfully mending them since we first opened the doors to our first Computer Answers service center in 1999. That’s every model, every size. 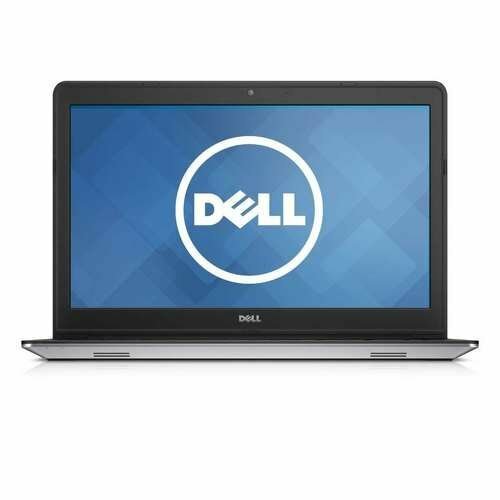 We make it our business to understand what our customers’ needs will be before they arrive with their Dell laptop. That makes us efficient. Power issues, cracked screens, virus attacks – those are a few common issues we have found with Dell laptops over our years of experience. We list six services Computer Answers performs on Dell laptops below. If you do not see your need listed, don’t worry. Computer Answers will have successfully addressed it before and we will do the same for you. For your convenience, we have five locations, in the Albany/Schenectady area as well as Brooklyn. You are always welcome to walk in to any of those with your Dell laptop. You can also just call us Toll Free at 866-488-2806 or use our Contact Form. Describe your problem and tell us the model and screen size of your Dell. We can arrange shipping for your laptop if you can’t come in. We can even send a technician who is expert in Dell repairs to your home or office. Connect with us today. Any time and every time your Dell laptop comes into one of our service centers, Computer Answers will do a complete Diagnostic Analysis on your computer. Our Diagnostic is quick, it’s thorough, and it’s free. Once we know what the problems are, then we can report to you what we have found and how we can fix it. Just like any device connected to the internet, your Dell laptop can be attacked by malware. The signs can be a slowdown in performance, perhaps frequent crashes, or you notice new and unusual programs in place. Computer Answers will find these dangerous programs and eliminate them. We will also advise you how to best protect your laptop – and your privacy – from future attack. Although your Dell laptop may have ran great at first purchase, as new and more complex programs are added, your laptop becomes overwhelmed by the tasks it is being ordered to do. It slows down. It is having a memory issue. Thankfully, this is easily solved at Computer Answers. Within minutes, we can upgrade or replace your RAM chips. Your laptop will not be back where it was, it will be better than when you bought it. Whether you spilled a cup of coffee on the keyboard, or if your Dell laptop was exposed to water during a house fire emergency, it is crucial that you get that computer into the hands of a Computer Answers professional technician as quickly as possible. Time really is of the essence as that water may be creeping into your Dell’s logic board, possibly causing extensive damage to the data contained in the hard drive. Your laptop may even seem to be running fine for a while after water exposure. CAUTION! If your Dell laptop has become wet, do not turn it on! Contact us immediately. Whether your Dell laptop has a standard or Retina display, its screen can become scratched, cracked or otherwise damaged. A broken display can be caused by exposure to intense heat, or the unfortunate accidents that occur with any frequently used device that can be carried around and dropped. At Computer Answers we have fixed or replaced hundreds of displays and we will do that for you quickly and at the lowest possible cost. Hardware can usually be repaired and always can be replaced. Information can be lost forever with disastrous results. If your laptop has been damaged beyond reasonable repair, Computer Answers will examine your hard drive – for free – and tell you our best estimate as to what percentage of the files can be recovered and at what cost. And just so you know, Computer Answers has an unparalleled 98% success rate in data recovery.